Betty White turned 90 on Tuesday, so in honor of this iconic woman, I thought I’d pay a tribute to her. I started going through pictures of her to show you how she’s aged, but the thing is with her, she hasn’t by looks, only by years. She’s looks like the same woman I know and I love when I “met” her from watching “The Golden Girls” many years ago when she played he lovable (yet sometimes cuckoo) Rose Nylund. She was my favorite character on that show because she was funny (everyone around me laughed), and somewhat a ditz, which is how I felt growing up — and sometimes still do. (Note: A few months ago my husband and I were flipping through the channels and we saw an episode being played — well, I finally saw how dirty this show was, and why everyone was laughing and blushing). Betty was an only child, and from a very young age, she was a pet lover. During the course of her long life, she never had any children with any of her three husbands. I remember her one time saying on a talk show that she considers her pets as her children. Animals have been such a huge part of Betty’s life that she’s played a huge part in charities and supports animal rights. 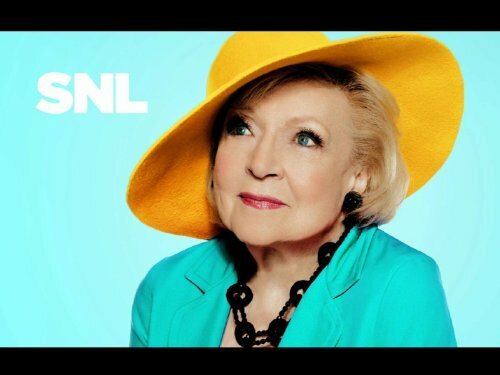 Funny lady Betty was the oldest host of the highly populated show, Saturday Night Live, in May of 2010. It was the first time I’ve watched SNL in years, and I thought she did an amazing job! She played the parts perfectly, and was so funny! If I were in the audience, I would’ve definitely given her a standing ovation! Speaking of funny, don’t you all love that Snickers commercial of her? She was definitely a team player! I believe that this was a Super Bowl commercial — and I’d have to say it was one of the best! 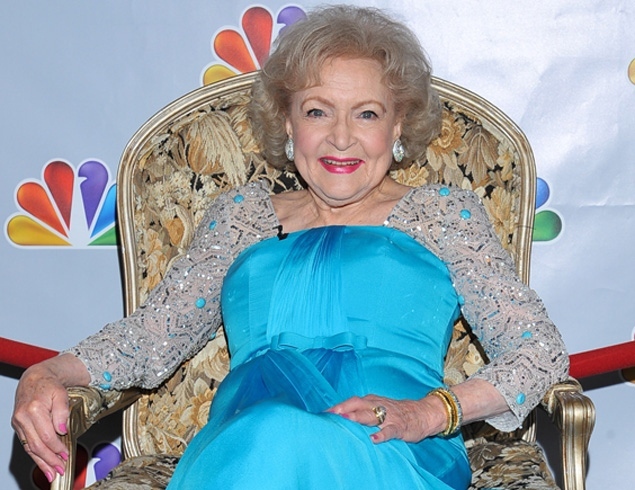 We could talk about other highly acclaimed female comedians, but Betty tops them all. She is a classic woman, and I’m proud that I can say that I have lived to see this lovely, brilliant, and talented woman in my lifetime. She’s also the grandmother that we all wish we had, am I right? Aw, what a great post, Isabella! 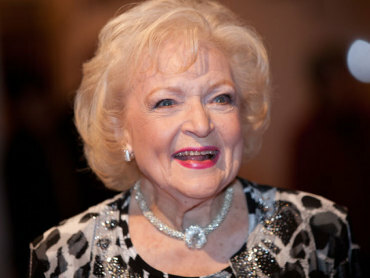 Betty White is such an amazing lady and inspiration. One of the things I love most about her is her advocacy for animals. She’s done so much good work to promote adoption of rescue animals and getting pets spayed and I really admire her for her continuing devotion to the cause. ITA with her that dogs are like having children – they just never grow up! 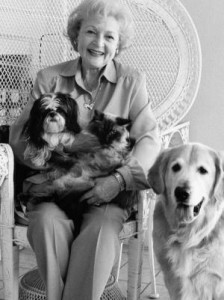 🙂 I hope that I am as sharp and funny and awesome as Betty is when I’m 90! Wonderful post! She is a great, funny lady. I loved her on the Golden Girls. You should check out her new show, Hot in Cleveland. Hilarious. I’m a recent fan. I saw the first few episodes of Hot In Cleveland and loved it! She’s great at or in anything she does! 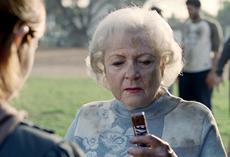 A great post;) Betty White is awe inspiring, I agree.